Charlotte found her love for musical theatre composition through The Waa-Mu Show while studying at Northwestern University. She wrote music for the annual production all 4 years and served as a co-chair of the organization her senior year. Before graduating, Charlotte was awarded The John & Marietta Paynter Award for the Creation of Music for her work on The 86th Annual Waa-Mu Show, BEYOND BELIEF: a superhero story. After graduating in June 2017, Charlotte joined BMI's 2017-2018 Lehman Engel Musical Theatre Workshop where she had the opportunity to meet other New York writers, improve her craft and learn from some of the best. 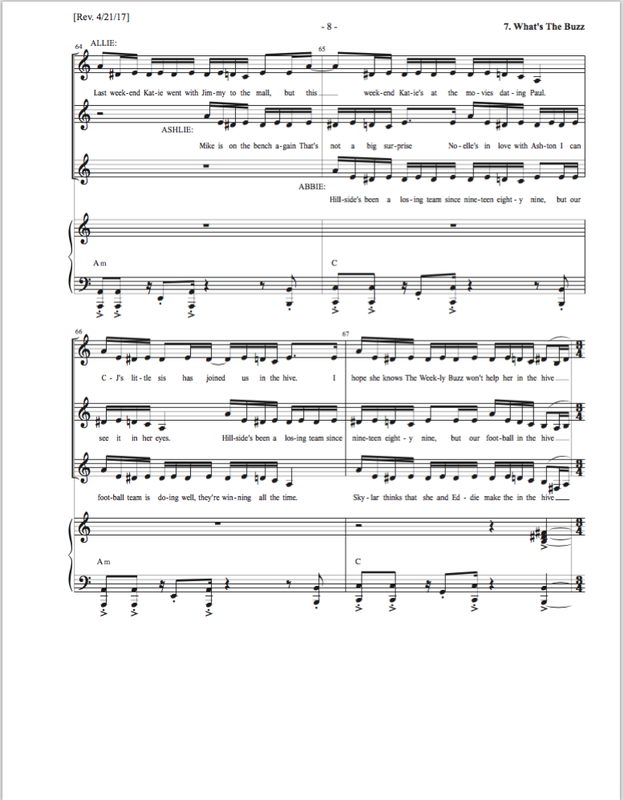 See below for sheet music samples of select musical theatre compositions. View Music Resumé for more details on Charlotte's composition experience.